Clare was born in Liverpool and studied Modern Languages and History of Art while a choral scholar at Clare College, Cambridge, but began her professional life as an account director for international advertising company J Walter Thompson before becoming a professional singer. In concert Clare has sung Bach St Matthew Passion (King’s College, Cambridge/Cleobury) and B Minor Mass (Northern Sinfonia/Halsey), Mozart Requiem and C Minor Mass (Three Choirs Festival/Partington, St. Alban’s/Vass) and premiered a new edition of Bach St. Mark Passion (Barokksolistene Norway). 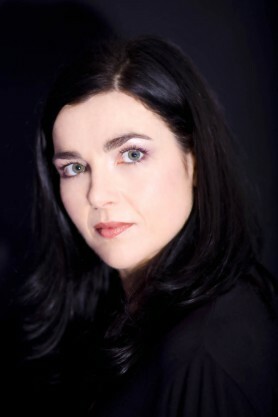 She has sung with the Orchestra of the Golden Age, Northern Chamber Orchestra, Academy of Ancient Music, Philharmonia Orchestra and Die Kölner Akademie and made her solo debut at the 2012 BBC Proms in Debussy’s Martyrdom of St Sebastian with the BBCSO/Knussen, which she repeated at the 2014 Edinburgh Festival. With chamber ensemble, Clare has narrated Walton Façade (Music of Renown Ensemble), gave the first performance of a newly-discovered fragment of a Scarlatti cantata with the LePage Ensemble, and has performed airs de Cour with Paris-based baroque specialists La Réjouissance. In operatic repertoire, Clare made her debut in the 2000 Salzburg Easter Festival’s Simon Boccanegra (as Un’Ancella) for Claudio Abbado. At the Royal Opera House, Covent Garden, she has performed Cousin/Madama Butterfly, Apprentice/Die Meistersinger von Nürnberg and La Servante/Manon. Other recent roles include Meg Page/Falstaff (Iford Arts), Fox/The Cunning Little Vixen & Örsze/Hary Janos (Ryedale Festival) and Oreste/La Belle Hélène (Diva Opera), as well as Dido, Dorabella, Second Lady, Orlovsky, Siebel, Hansel, Véronique, Flora, Micah, Cyrus and Mrs Peacham. In 2014 she sang in the premiere performances of Stephen McNeff’s chamber opera Prometheus Drowned in London, Birmingham and at the Presteigne and Canterbury Festivals. In the contemporary repertoire roles include the Stardust Seller in Stephen McNeff’s The Gentle Giant (ROH2, Royal Opera Covent Garden), the Mezzo Actor in Judith Weir’s A Night at the Chinese Opera for Scottish Opera and Matilda/George in Errollyn Wallen’s Cautionary Tales, as well as works in development at Opera North, WNO and Aldeburgh Music. Among her broader repertoire are movement-based projects including Wayne McGregor’s Dido & Aeneas for the Royal Opera /Royal Ballet and The Silver Swan with the Clod Ensemble, performed as a site-specific work at the Victoria & Albert Museum and the Turbine Hall, Tate Modern. Through her new company McCaldin Arts she has created various solo shows, two with music by Stephen McNeff: A Voice of One Delight and Vivienne, which drew plaudits for her compelling performance, including 5 stars in the Evening Standard. She also wrote and produced a narrated concert for voice and piano, Haydn’s London Ladies. Clare’s two solo CDs with Champs Hill Records – Madrigali dell’Estate (2013) and Notes from the Asylum (2015) – have attracted excellent reviews (4 stars for both from BBC Music Magazine). She also devised and sang on Wild Cyclamen, NMC’s disc of song cycles by Hugh Wood.